The winner of this year’s BDAV’s 10-Star Sustainable Design Challenge is Adapt Design Group for their ‘Nest’ submission. The Judges said the simple yet elegant building form, the use of readily-available materials, and the efficient spatial arrangement resulted in a highly desirable outcome. “A clear winner when it comes to design and quality of submission,” said the Judges. The project – a single-storey residence in the Melbourne climate zone – utilises non-toxic building materials, and incorporates efficient design principles using sustainably sourced local products and innovative technology. The design provides an accessible benchmark for the modern-day ‘nest’. Jess Cuman from Adapt Design Group has thought of everything to make this ‘nest’ comfortable and practical for occupants. Phasechange material provides a lightweight and cost-effective approach to introduce thermal mass. 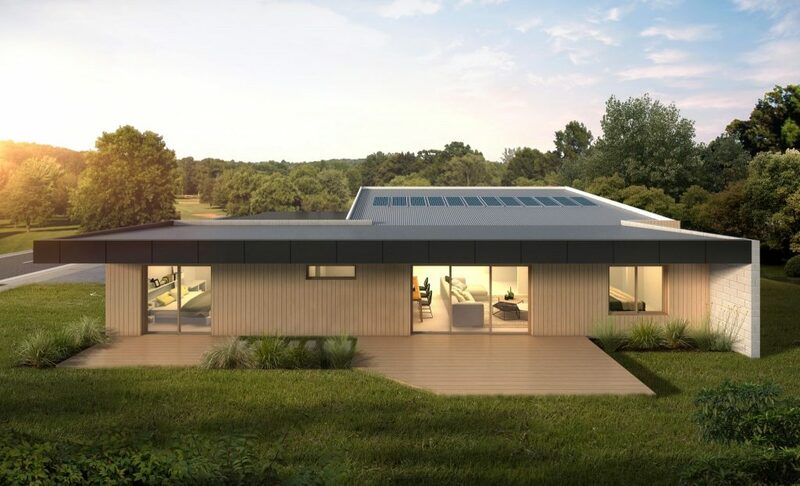 The home also includes a min 5kW solar PV system with battery storage and energy monitoring system, as well as an electric car charge point. There is also a green switch to reduce energy consumption when the house isn’t occupied. minimum WELs rating of 4 for all plumbing fixtures. A 10,000ltr water tank has been installed with plumbing that backs into the house to flush toilets. Ceiling fans are in all bedrooms and living spaces; there is natural ventilation to wet areas. Sustainable and locally-sourced plantation timbers are used for frames and trusses. Masonry (Island Blocks) made from recycled materials which have low embodied energy concrete slab contains fly ash. Structure Consulting Engineers, in collaboration with Zachary Hau, received a commendation for their ‘Accomplished Suburb Living’ submission. The project – a single-storey home in Perth – has been commended for showing great endeavour to achieve a cost-effective design. The Judges said that cracking the code of a high-performance house in the volume builder market is laudable. “Even though the climate zone adopted would be considered more ‘amenable’, we believe the objectives targeted should be commended,” said the Judges. The design reaffirms that orientation is critical in delivering affordable passive solar design. “If you don’t have good passive solar access you will be forced to either compromise on design or expect a costlier build,” said Debbie Bute from Structure Consulting Engineers. concrete, vinyl or ceramic tiles. A Certificate of Encouragement was presented to Steve Pettitt for his ‘Restorative Residence’ submission. made a valiant effort to achieve 10 stars, but didn’t quite get there; nonetheless, they recognised the difficult challenge he had made as an unskilled student at the time of lodging his submission, and wanted to recognise his attempt, yet did not wish to compromise the standards set for the Challenge. Great effort, Steve! We wish you every success in what looks like a promising career ahead of you.